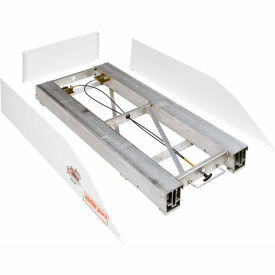 The Model 3100 BED RAT® Sliding Platform is 54 in deep and 22 in wide, allowing you to pull PACK RAT® drawers toward you from the cargo area, either from the side or rear of the vehicle. 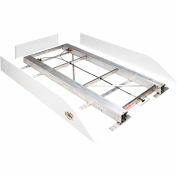 The heavy-duty steel platform supports 750 lbs. Includes side and back panels to avoid content loss. 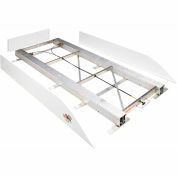 Heavy duty platform supports 750 lbs. 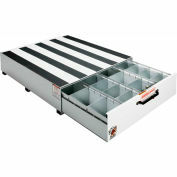 Heavy duty rollers support maximum loads. Platform extends 70%. Brite White ARMOR-TUF® Powder Coat finish ensures years of dependability. Limited lifetime warranty ensures unparalleled quality.